"No one wanted to do this, so of course, it lands in the hands of an immigrant"
After it was announced, following a prolonged search, that Daily Show senior correspondent Hasan Minhaj would be the host of this year’s White House Correspondents’ Dinner, a number of Who Is Hasan Minhaj-style pieces followed, something that wouldn’t have been necessary for some of the more well-known names to host Correspondents’ dinners past. Roast the president he did, while noting in his speech that he had been asked not to. The president was not the sole focus of his speech, giving those select barbs more power. Come for the Trump jabs, stay for Minhaj’s jokes aimed at USA Today, HuffPost, MSNBC, Fox News and CNN. 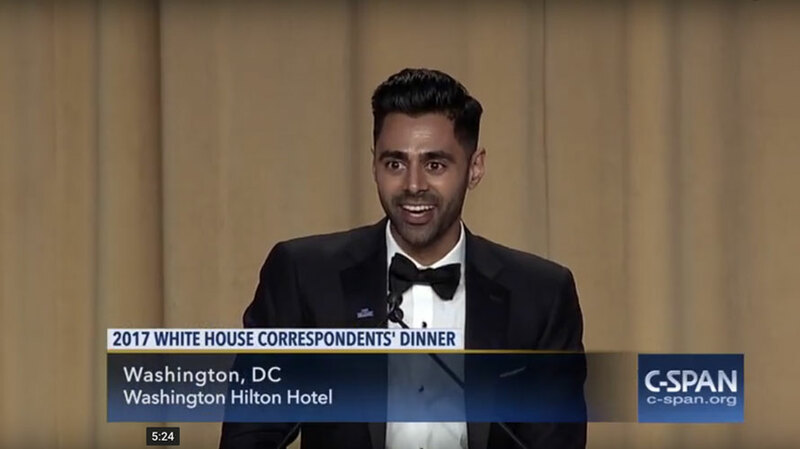 I gotta say: @hasanminhaj totally killed at the WHCD. It’s worth watching in its entirety.